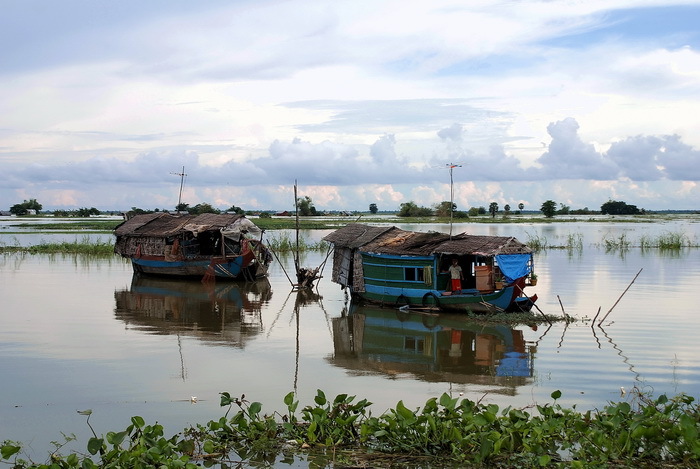 The often large floating raft villages around the lake provide reasonable livelihoods from fishing and crocodile farming; dryer areas up-stream possess fertile, year round arable land for permanent river bank communities whilst these ‘boat people’ scratch out a precarious existence far from towns, roads, schools and hospitals in the watery no-man’s land that lies in-between. 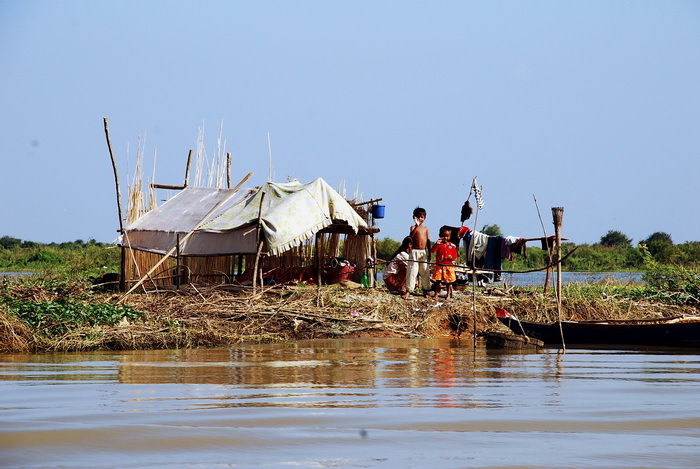 During the rainy season they live on small, sampan type house boats then as water levels decrease during the dry season they construct shelters on the newly emerging riverbanks where enough dry land appears to allow a short, crop growing season before the rains arrive to flood the land again. Alternatively instead of constructing shelters boats are occasionally simply left to settle on the ground as the water seeps away thus providing the ‘house’ for the dry season as well. Though cramped the boats are far more solid, and indeed spacious, than many of the temporary shelters which are frequently little more than a few bamboo poles and plastic sheets tied together. Electricity, if lucky, may be provided by a car battery and water, for all uses, comes out of the river. 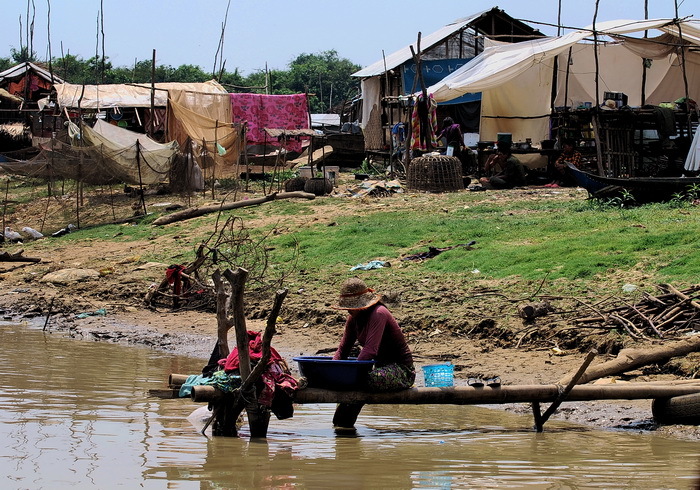 Many of these people also, as mentioned, live in remote areas with no road connections so travel to a larger town such as upriver to Battambang or across the Lake to Siem Reap for medical or educational purposes would be a major, and not least, expensive expedition. Time frames vary considerably depending upon how far up river the settlements are and of course weather conditions change substantially from one year to another but potential farmland and riverbank settlements begin to appear from around January onwards whilst by perhaps July or August, depending upon rains, farmers will be forced to turn fishermen again and take to their boats as fields become inundated. By September and October the landscape is generally water with protruding treetops as far as the eye can see in all directions. A tough existence to say the least and we’d like to say a time-honoured one though, aside the traditional lakeside floating fishing settlements, one gets the impression that this movement into less hospitable areas is probably a relatively recent result of increased crowding and reduced fish stocks around the Lake itself. 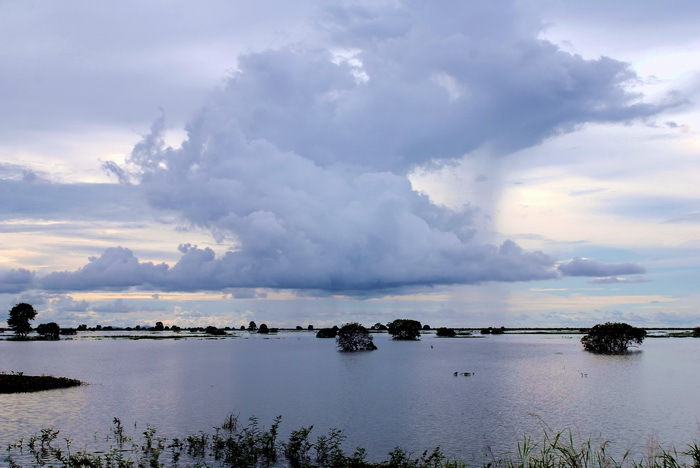 Furthermore ecological problems are increasing as some of these environmentally critical marsh areas are cleared for dry season cultivation in addition to the obvious over-fishing and dry season water use for irrigation. Although covered in water during the rainy season there maybe no rainfall at all for several months the rest of the year so with huge quantities of water pumped from the rivers for irrigation plus the upstream damning of some rivers such as the Sangkar in Battambang Province vital rivers can be reduced to a trickle. Nearly 40 in the shade during hot season with no electricity or running water! Hardly a sustainable existence and with even poorest families now having access to TV and smart phones we doubt the younger generation may suffer this precarious lifestyle for much longer. As we see it, either the land is drained more permanently and transport, education and medical facilities are established or the inhabitants are relocated, (or relocate by themselves), to larger towns and a conservation plan is put into action for these precious wetlands. 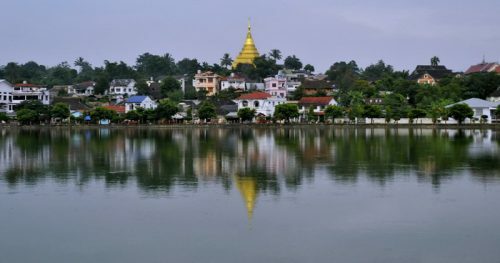 The latter would be great for the Indochinese Silver Langurs, Spot-billed Pelicans and Greater Adjutants but locals may well prefer the former. 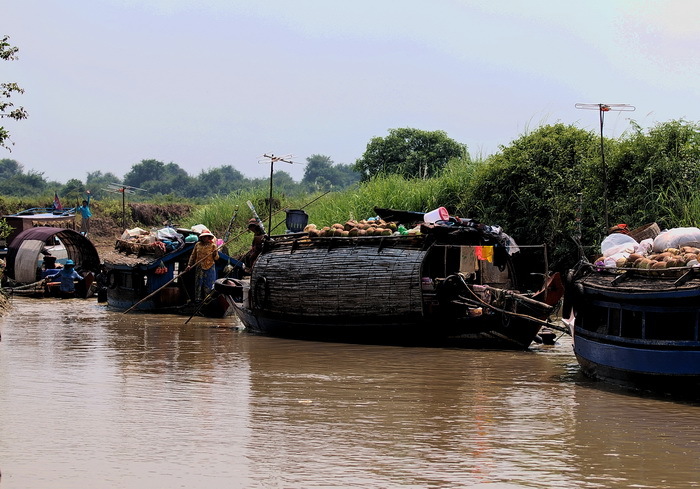 In the meantime you can discover this unique lifestyle on day boat journey up the Sangkar River from Siem Reap to Battambang on either our Cambodia Overland or Saigon to Phnom Penh, Cambodia tours.